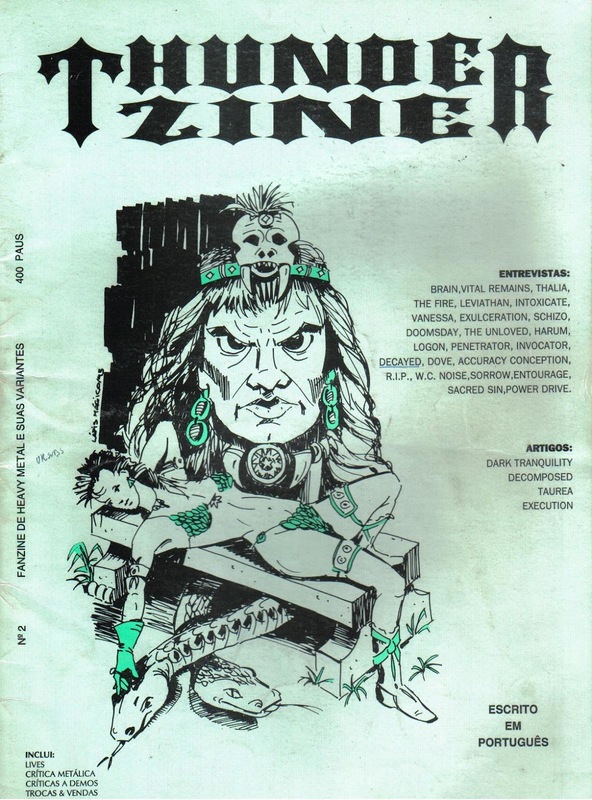 Led by Jorge Apolinário, the Thunder zine emerged as a complement to the cult radio program "Fogo No Gelo (Fire On Ice)" broadcast on Radio Commercial Almeirim since mid-80s. First issue was released in 1992, a second one in 1993. Also were part of the stuff Rui "La Rocque" Roque, Telmo Ribeiro, Carlos Brandão and Pedro Lopes.